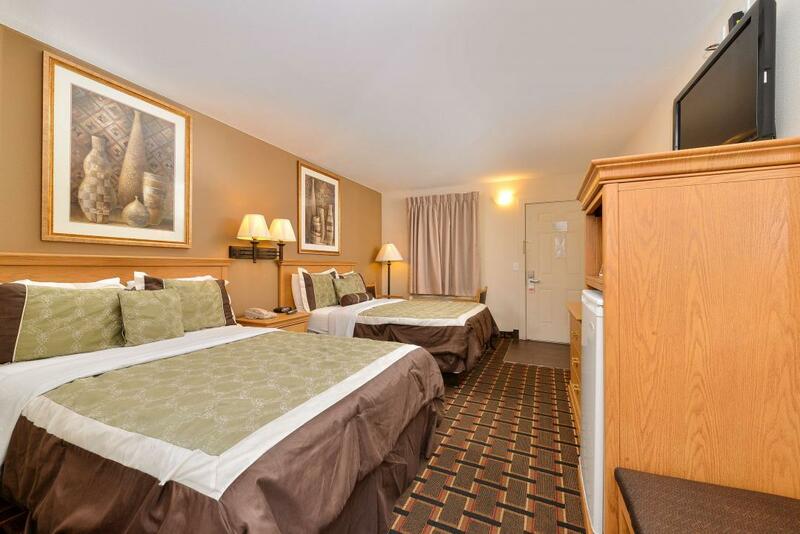 Americas Best Value Inn Nashville-Downtown offers the most value for your money when staying for business, pleasure, or just passing through. We offer clean spacious rooms, a business center, complimentary light snacks served daily from 6-9 am, free coffee in the lobby, and free Wi-Fi throughout the property. All guest rooms include microwaves, mini-fridges, hairdryers, 32-inch flat panel TV, and 75 cable TV channels with ESPN. Take advantage of our extremely comfortable beds and relax while saving money year-round with our Kids Stay Free Policy (12 and under in parent's room). For your convenience our hotel offers both smoking and non-smoking rooms. Sorry, no pets are allowed. There will be a $75 charge for undisclosed pets. We are conveniently located near to Nashville's historic Music Row, The Grand Ole Opry, and the Nashville International Airport. We are located off of I-65 - I-24 exit 87. 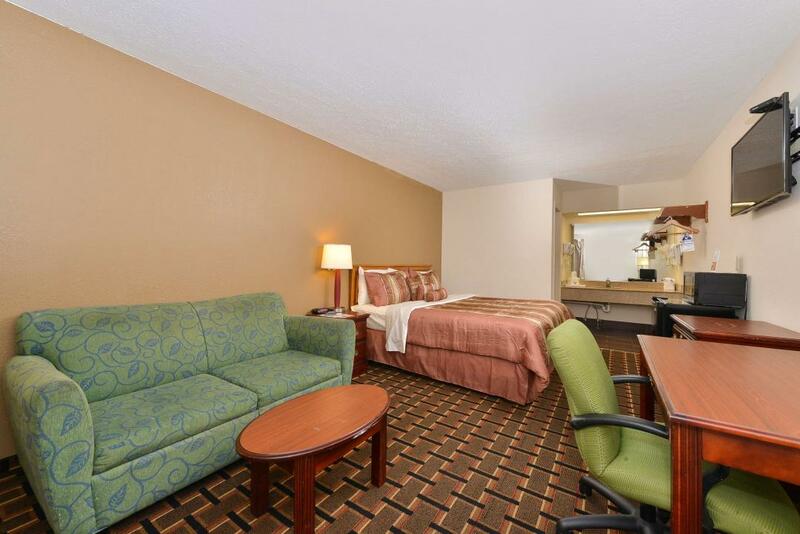 Americas Best Value Inn Nashville-Downtown is your best choice within Music City. 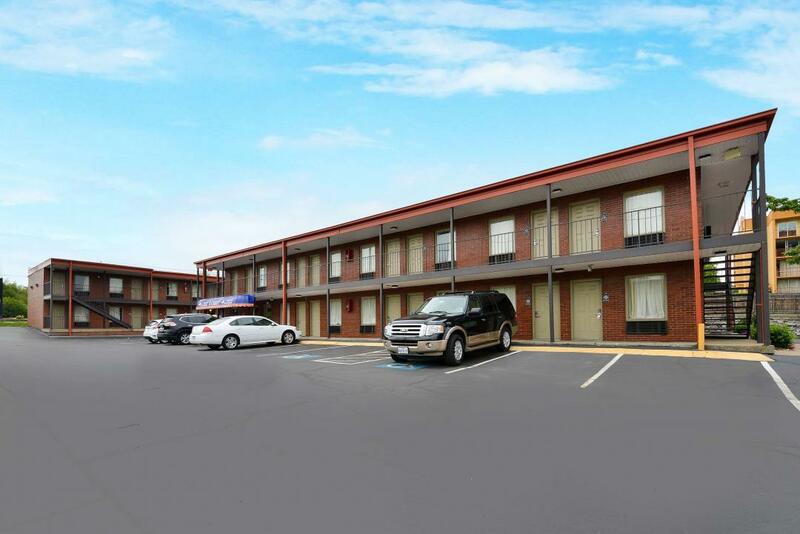 We offer ideal accommodations and location whether you are in town for sightseeing, taking in some country and western music, boating, fishing, or simply passing through on your way to Chattanooga or Memphis. Sorry, no pets are allowed. There will be a $75 charge for undisclosed pets. Jack In the Box, 0.3 mi. Brother Z's Wangs, 1.3 mi. Jersey Mike's Subs, 4 mi. Hattie B's Hot Chicken, 5.6 mi. The Patterson House, 5.6 mi. Bob Evans Restaurant, 8.6 mi. Have a group or meeting space question? Ted Rhodes Golf Course, 4.5 mi. Strike and Spare Family Fun Center, 9.1 mi. Music City Bikeway, 9.2 mi. The Mall at Green Hills, 9.8 mi. Europa Go-Karts and Golf, 12.2 mi. Game Galaxy Arcade, 14.6 mi. Drakes Creek Activity Center, 14.9 mi. Monster Mountain Haunted Attraction, 17.9 mi. Nashville Municipal Auditorium, 4.1 mi. Historic 2nd Avenue District, 4.1 mi. Bicentennial Mall State Park, 4.2 mi. Tennessee State Museum, 4.3 mi. Nashville Convention Center, 4.4 mi. Music City Center, 4.4 mi. Country Music Hall of Fame, 4.5 mi. The Frist Center for the Visual Arts, 5.3 mi. Adventure Science Center, 6.1 mi. Lane Motor Museum, 6.2 mi. Tennessee State Fairgrounds, 7.4 mi. Grand Ole Opry, 9.6 mi. Cheekwood Art and Gardens, 12.3 mi. Nashville Shores Water Park, 15.3 mi.